Continuing our fall series of articles highlighting updated features, resources, free trials and other benefits available through the HSLANJ Group Licensing Initiative’s Fall 2018 Offer. All medical librarians in the NNLM/MAR, SE/A, and NER are welcome to participate. For more information on the HSLANJ GLI, contact Project Manager Robb Mackes (email or 570-856-5952). Deadline to participate is November 9, 2018. Chances are you and your staff have guided residents, nurses, and physicians trying to carve out time to earn Continuation Education (CME/CE) credits to maintain their license to practice or to attain board certification. Wolters Kluwer now offers a solution that provides easy access—via mobile, tablet, or desktop—via a single point of entry to thousands of CE credits in a variety of fields. Listening to lectures—and, ideally, absorbing the material!—is a great way to earn CE. 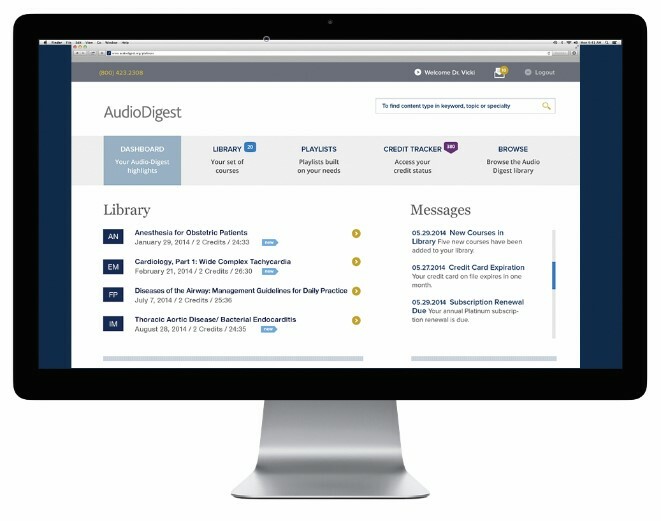 Wolters Kluwer’s Ovid® platform makes available more than 5,000 accredited audio files of clinical best practice lectures and board exam review sessions covering topics in 16 disciplines across primary care, surgery, and specialty areas like neurology and psychology. In total, more than 1.3 million CE/CME credits can be earned annually from these lectures.